Very Positive (1,798) - 84% of the 1,798 user reviews in the last 30 days are positive. Very Positive (323,995) - 90% of the 323,995 user reviews for this game are positive. Zombies aside nature does plenty to make life hard. Forage wild fruits and vegetables. Hunt animals for pelts and meat, or in some hostile environments become the prey. Fish for food and garbage. Plant a crop and make sure it gets rain. Seek warmth and take shelter from blizzards. Friend or foe there's a lot of interesting people online. Arrest bandits with handcuffs and blindfold them as a non-lethal strategy. Fight with every kind of weapon under the sun - swords, machine guns, snipers, missiles, landmines - you name it. Raid enemy encampments using charges and detonators and steal their loot. For pure PvP play arena mode in a last man standing battle to the death, or PvE for peaceful cooperation. Roleplay servers encourage everyone to stay in character and tell a story together. Plenty to do even if you're offline or going solo. Meet, talk and trade with NPCs. Complete quests to aid NPCs and progress the story. Fend off waves of the undead to clear hordes. Gear up with gasmasks to scout radioactive deadzones. Somewhere to kick back and chillax or a hideout to direct your gang, whatever floats your boat (in this case sometimes literally). Build with barricades, furniture, traps, machinery and more. Board up the windows of existing structures to survive the night. Craft an entirely new structure from supplies you collect. Turn your vehicle into a moving fortress by building on it. Roll out in style with a fully stocked garage. Land vehicles including tanks, quads and snowmobiles. Air vehicles from helicopters to seaplanes to fighter jets. Sea vehicles such as jetskis and hovercraft. Maintain your vehicles with tires, batteries and fuel. 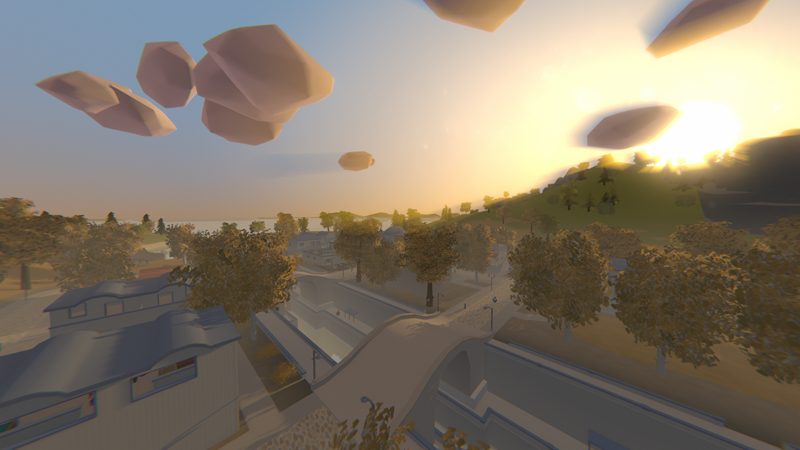 From the ground up Unturned was designed for modding. Download player created content ranging from guns to vehicles to huge levels from the workshop, and upload your own. Build custom maps using the in-game level editor. All of the official maps were created with the same free public tools and their assets are open for you to use. Write plugins using built-in or strong third party systems. Get your apparel and skins upvoted in the workshop for consideration to be accepted and sold. Team up with other modders and put together your own update for consideration to be officially adopted. Most objects can be destroyed to create new pathways. For immersion you can pick a frequency and use two-way radios to communicate with your squad rather than external voice chat programs. 3,200 Curators have reviewed this product. Click here to see them.